Are you looking for a sturdy bed with a bit of colour? Tired of the natural wood beds and just want to go with something bright? The great thing about fabric beds is the ability to choose a colour that goes well with your room. At Decor8, we’ve taken a step further with our fabric bed. 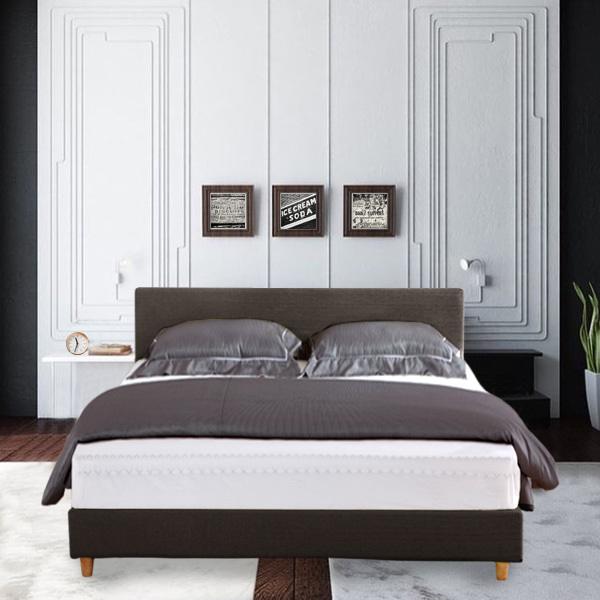 The Fenwick Bed Frame is available in a variety of colours but that’s not all. The cover of this bed is completely removable making it easier to clean and maintain it’s brand new look. You’re probably thinking but what if over time my cover breaks or what if I want to change the colour? As long as we have this bed available, you’ll be able to purchase more covers to change at your pleasure. Once you’ve got your bed, it’s time to think about your mattress. Our Fenwick Bed is available in two sizes. You can select from the Queen Mattress Size (150cm x 200cm) or the King Mattress Size (180cm x 200cm). Once you have both items, you’ll have a bed that you will adore for many years to come. Don’t hesitate anymore and grab the bed that will give you some restful nights of sleep. This entry was posted in Beds and tagged bed, bedroom, bedroom furniture, color, colorful, decor8, fabric, fabric bed, hk furniture.